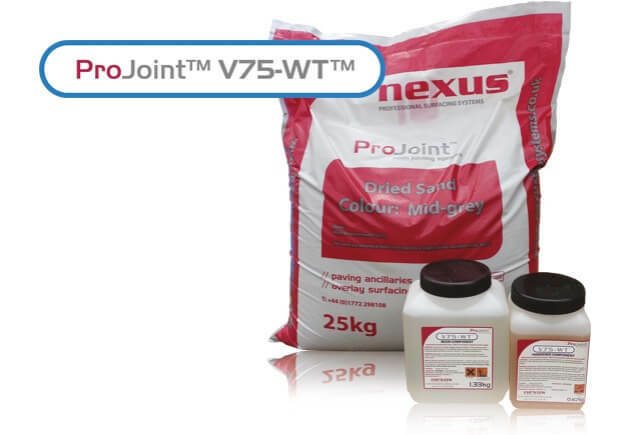 The all weather paving joint compound. A quick and easy solution to filling joints between paving slabs and setts, suitable for natural stone and concrete paving. A quick and easy solution to filling joints between paving slabs and setts, suitable for natural stone and concrete paving. Simple to use, ProJoint™ Fusion™ allows an untrained hand to consistently deliver perfect joints every time – whatever the weather! 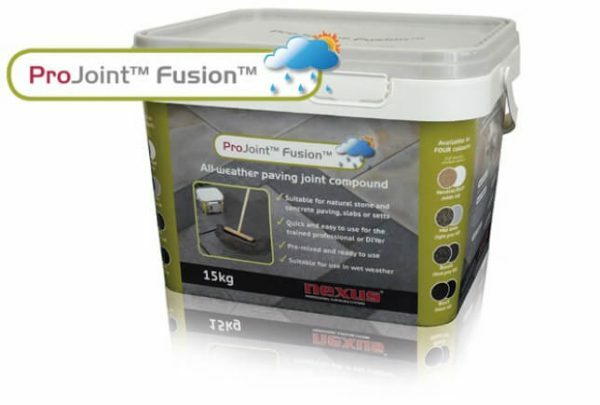 ProJoint™ Fusion™ delivers a weed free, frost resistant joint, without staining the paving – saving you time and money. 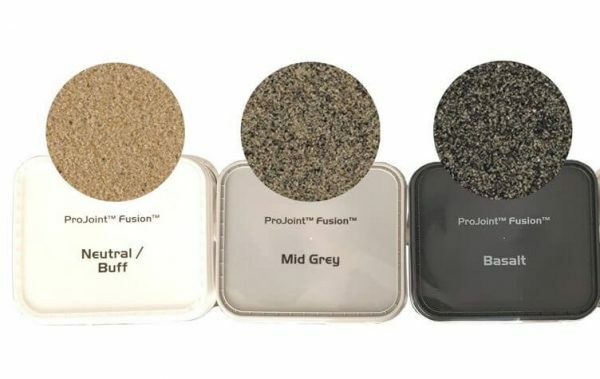 Packaged in a vacuum packed pouch within the contractor-sized 15kg tub with lid colours that denote the product colour – ProJoint™ Fusion™ is available in four colours: neutral (buff), mid grey and basalt.